"Marella" looking more golden here than in person. 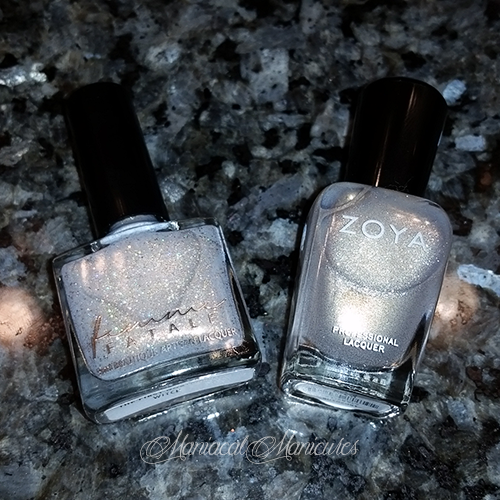 I found the polish to look a bit flat, so I'd definitely spring for a topcoat (don't we always 99% of the time?). 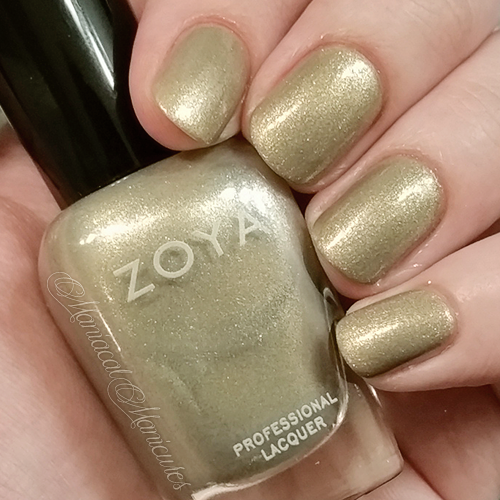 I ventured to stamp over "The Northern Witch" with Zoya "Amal" (works beautifully!) using my Creative Shop Stamper with hēhē™ Plus Stamping Plate "Fairy Tale - 001" (love these plates!). 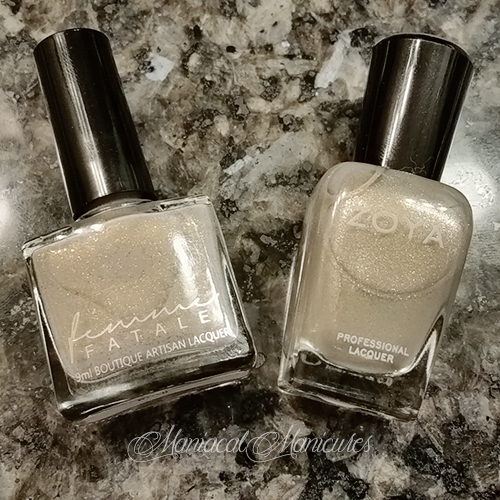 I attempted freehand bits: Zoya "Raven" for the black, Zoya "Goldie" for the warm sheer gold, and Zoya "Kerry" for the gold foil. 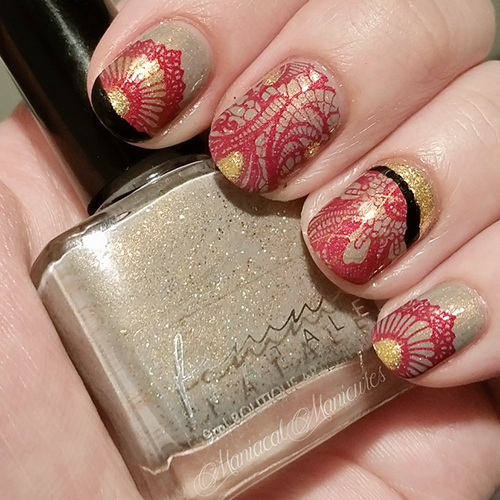 I should have stopped after the nail stamp, but I was experimenting. I can't say I love the final result, but there are elements I like. Besides! An artist needs some awkward pieces to practice! After all, not every day is an awesome hair day... 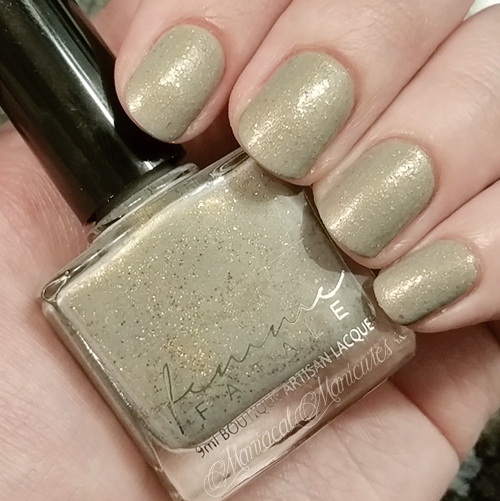 I topped it all off with a single coat of my favorite topcoat, SuperChic Lacquer "Marvel Liquid Macro Topcoat" (no shrinkage and dries fast). 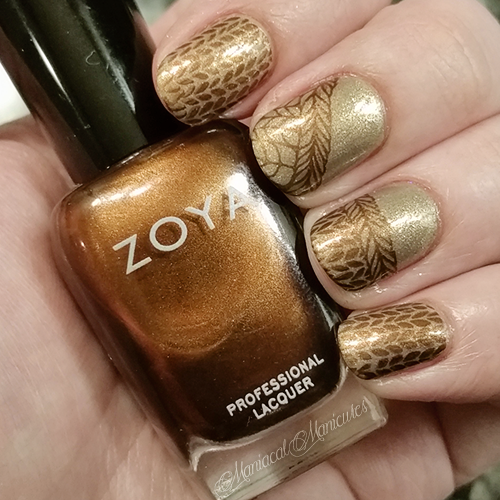 Attempted some nail stamping with Zoya "Kalista." Femme Fatale can be found on Facebook, Twitter, Instagram, Pinterest, and their Website, as well as many international stocklists.